Asia remains relatively insulated from the global economic slowdown and Asian growth, powered by China, has become the major driver for the global economy. In 2010, East Asia and the Pacific grew at twice the pace (6.8%) of both the EU (2.0%) and US (3%). With the EU and US stagnating, investors and businesses are naturally heading East. In Asia, Singapore and Hong Kong present the simplest, most viable and most lucrative options for firms, investors and entrepreneurs seeking growth. With a government renowned for efficiency and transparency, unparalleled infrastructure and a location at the heart of South East Asia, Singapore provides the ideal setting to incorporate in. While Hong Kong, with its developed and liquid financial markets and attractive tax policy, can act as the perfect gateway into China’s growing markets. Hong Kong company registration and Singapore incorporation is remarkably safe, cheap and quick. Singapore is the easiest place to do business and has topped the World Bank’s Ease of Doing Business rankings for the last 2 years. Singapore also fares exceptionally well in other measures like paying taxes (4th best in the world), starting a new business (4th best) and trading across borders (1st). Foreign investment and firms are a significant part of the Singapore economy, for instance in 2010, output from foreign companies and foreigners accounted for 43% of GDP in 2010 and grew by 13.6%. With such a substantial foreign presence in the economy, we do not foresee the government introducing any major restriction. This combined with improving infrastructure and steady growth means that Singapore will remain a premier jurisdiction for firms and entrepreneurs for a long time. After Singapore, Hong Kong is the easiest place to do business and ranks highly in other measures like protecting investors (3rd), paying taxes (3rd) and starting a business (5th). Firms continue to be incorporated in these 2 cities despite global economic uncertainty. For instance, 798 foreign businesses chose Hong Kong as their jurisdiction of registration in 2011, an increase of 8.3% from 2011. Over the last year Hong Kong has introduced online electronic services for company and business registration making the process even simpler. 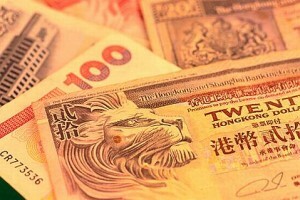 The Chinese government has shown signs of trying to attract more foreign investment especially through Hong Kong. Hong Kong can also act as an important hub for firms who want to operate in other major economies in the region like South Korea, Japan and Taiwan. The recently released Ernst & Young Globalisation Index is another international survey that shows the strength of Hong Kong and Singapore as global centres of business. The survey ranks these two Asian hubs as 1st and 3rd respectively. The good thing about this survey is how it considers different aspects of the jurisdiction. The overall rankings score is determined from analysing the 5 areas of trade, technology, capital, labour and culture. Singapore actually scored a perfect 10 for the openness to trade category.